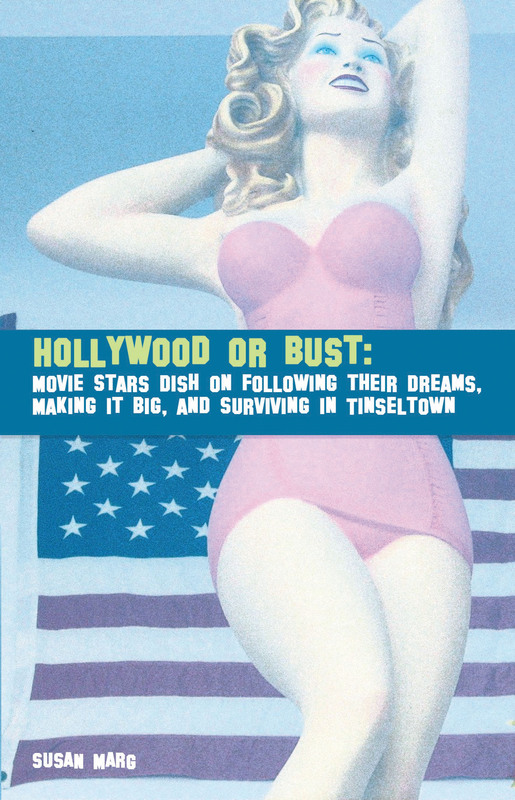 Hollywood or Bust: Movies Stars Dish on Following their Dreams, Making it Big, and Surviving in Tinseltown gives a unique perspective of what it’s like to live and work where stars are born and movies are made. In over five hundred quips, quotes, and off-the-cuff remarks, everyone’s favorite actors, directors, writers, and others involved in the business talk about themselves, their lives, their fame, their careers, each other, and the town itself. Their observations, on one hand, are caustic, critical, and cynical, but they are also eye-opening, amusing, inspiring, and in some case, even endearing. Be prepared to be surprised. To name a few of the famous names quoted in the collection, there’s Ben Affleck, Woody Allen, Alan Arkin, David Arquette, Alec Baldwin, Ellen Barkin, Kathy Bates, Jack Black, Nicholas Cage, James Cagney, Jim Carrey, Jackie Chan, Charlie Chaplin, George Clooney, Kevin Costner, Daniel Craig, Russell Crowe… And those are only some of the a,b,c’s.